Who says you can’t make the most of a tiny living space? 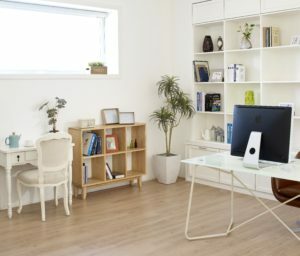 While your apartment may seem small, a few easy fixes can turn your tiny space into a comfortable, multi-functional living area. If you are looking to maximize the small space of a compact apartment, consider these three simple ways to make the most of a small living space before the holidays. To maximize the look of your space, incorporate light decorations and reflective elements into your decor. Consider adding mirrors and light decor with minimal accessories to your space. Mirrors will make your space seem more substantial, while lighter decor and accessories will lighten up the look of your room. Make your living space appear to be as spacious as possible by eliminating any unnecessary accessories that may otherwise be taking up precious space in your living room, bedroom or kitchen. How is your furniture currently arranged? To maximize floor space, consider using furniture that is completely necessary. With this, it is also a good idea to invest in multi-purpose pieces of furniture, such as a futon that can double as a space for guests in your living room. Consider the amount of floor space that you are working with, and arrange your furniture in such a way that you still have some open space in the room. For example, if your living room furniture consists of your sofa and two end-tables, it may be best to arrange these items together, leaving one wall open for a more spacious look. By investing in furniture pieces such as high-standing shelves, you will be able to organize and consolidate your items easily in a small space. Shelves are perfect for organizing smaller accessories such as tiny decorations, books, and collectible items. With these items carefully placed and consolidated, you will have plenty of open space everywhere you look in your apartment. This entry was posted on Friday, November 2nd, 2018	at 10:26 am	and is filed under Residential Sales	. You can follow any responses to this entry through the RSS 2.0	feed. Both comments and pings are currently closed.